LOU DIBELLA TO THE WBC: "I'M HOPING TO GET IT RESOLVED WITHOUT GOING TO COURT"
Last week, middleweight champion Sergio Martinez held a press conference to announce he would no longer defend his WBC title due to the lack of integrity of the sanctioning body. Martinez has been pleading for his opportunity to face Julio Cesar Chavez Jr. to unify the WBC championship, a title which Martinez originally owned before being stripped of it and given the WBC Diamond title in it's place, only to end up becoming named the mandatory challenger again. Martinez, however, is not the only fighter who has been screwed over by the WBC recently. #1 ranked jr. welterweight contender Ajose Olusegun has also been in line for his own title shot for quite some time now, but has yet to receive the opportunity. It was recently announced that the scheduled championship defense for WBC jr. welterweight champion Erik Morales against Danny Garcia had been rescheduled for March 24th. At the WBC convention in December, however, the WBC board of governors voted unanimously that if Morales did not defend his championship by the end of January, he would have to face Olusgeun, vacate the title, or be stripped of the championship. Lou Dibella, who promotes both Martinez and Olusegun, is tired of WBC President Jose Sulaiman making up the rules of the organization as they go along. "I'm getting tired of going to the conventions and they never stick to their votes. I've already made the call obviously to the WBC, but they are on the holidays, so we just have to wait...We're going to go to the WBC and try to make them stick to their ruling," he explained. 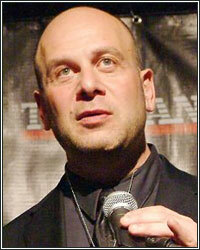 Furthermore, Dibella says taking legal action against the WBC is a possibility. "I'm hoping to get it resolved without going to court, but that is a route that's possible...Do I want to sue them? Maybe. Do I want to be the guy who shells out the money to take them to court? Maybe. We'll have to see. I also have to see what Ajose wants to do as well. If they are willing to offer a substantial amount to us to step aside, then we'll see what Ajose wants to do." The promoter went on to say he believes the networks are a big reason that fans are not getting the best fights out there. "Why do the television networks support certain fighters, but it never puts on the best fights? They have always been invested in certain fighters, but it's now worse than ever and our sport is in bad shape because of it...Why is Canelo a champion? Why is Chavez Jr. a champion? Why does Morales get a title shot to be a champion when he didn't earn it? They do what they want to do," DiBella continued. "You also have the Ring ratings system which is a joke because its controlled by a certain promoter," he added, also placing the blame partially on the Ring Magazine ratings system and Golden Boy Promotions, who owns the magazine.